Looking to gain some relevant experience? 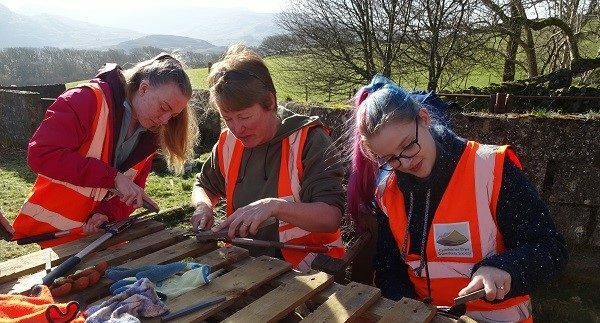 As part of its 50th anniversary activities, the Snowdonia Society looked to the future and invested in its volunteers – by launching a new and accredited Practical Conservation Skills unit. The unit allows you to demonstrate your practical conservation skills – an essential in many job descriptions. This unit is ideal for those who wish to have a more formal way of demonstrating their practical experience and knowledge. Due to the success and popularity of this unit in our 50th year, we will be continuing to offer volunteers the opportunity to take part. • Demonstrate your ability to work in a safe manner, gain knowledge about risk assessments and the importance of e.g. personal protective clothing. This unit is great for people who already volunteer with us, or for those who are keen to begin. The unit should take around 30 hours to complete, with around 20 – 25 of these being out on workdays or doing practical tool maintenance. Paper work is light, requiring you only to fill in brief a reflective log after each workday as well as filling in 2 risk assessments highlighting the main 3-4 risks of a site/task. When can I take part? To apply for this unit, please send the following to mary-kate@snowdonia-society.org.uk by 9am on Monday February 11th. • If you would be interested in free transport please indicate this in your application. Depending on demand and your location we will do our best to help. If you have been successful with your application, you will be notified by the end of the day on Wednesday February 13th. 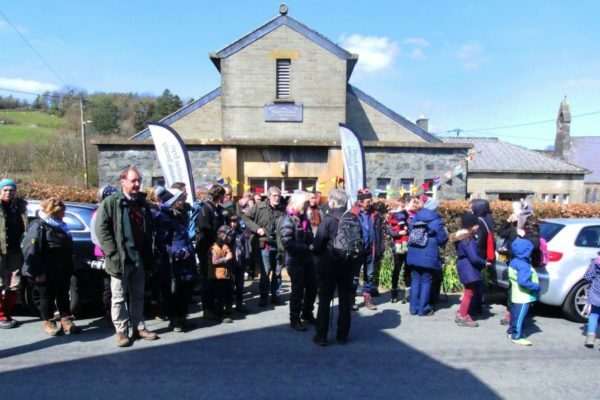 Thanks to our funders Cronfa Partneriaeth Eryri, the Campaign for National Parks and Waitrose, we can offer this round of training for free. However, places are very limited and if you were to be given a place you would be committing to attending 4 of the above dates. What our recent volunteers said about their experience of completing the unit.